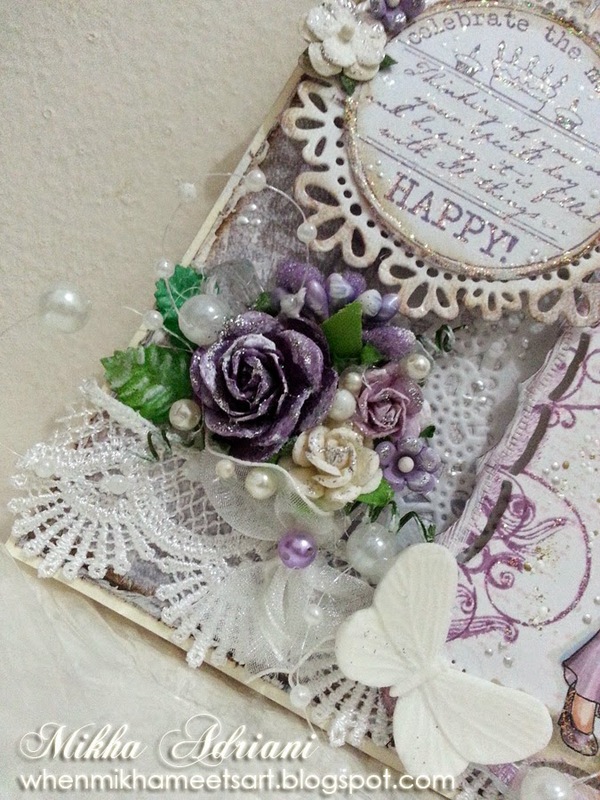 Gonna share you a card using Spellbinders - Resplendent Rectangle and Magnolia Doohickey - Mini Doily. I simply cut this "Bashfull Belinda" from Art By Miran on the 2nd dies of Spellbinders - Resplendent Rectangle coloured her with Copic. Then I stamped circular sentiment, put it on the top of Magnolia Doohickey - Mini Doily. Here's I made a little flower bucket, from 1" ribbon, and added flowers on top of it. Have you pop on Dies R Us Store? We're having new dies arrive!! You won't miss it! And also... Don't forget to enter the Current Challenge for the chance of winning gift voucher on our store!! FABULOUS Mikha! 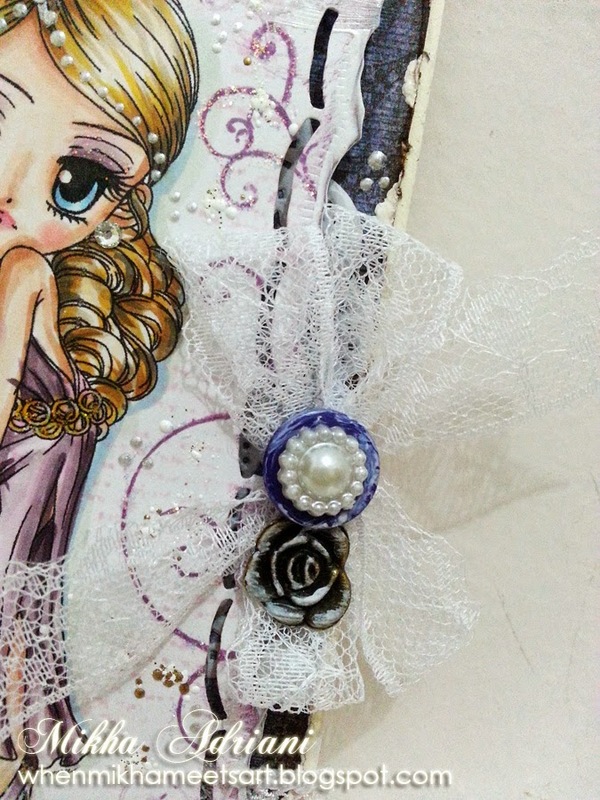 Love your design ... you are SO GOOD with your embellishments ... placement is always perfect! And, it's in my favorite color!! Awesome creation ... Mikha Style!!! LOVE it! 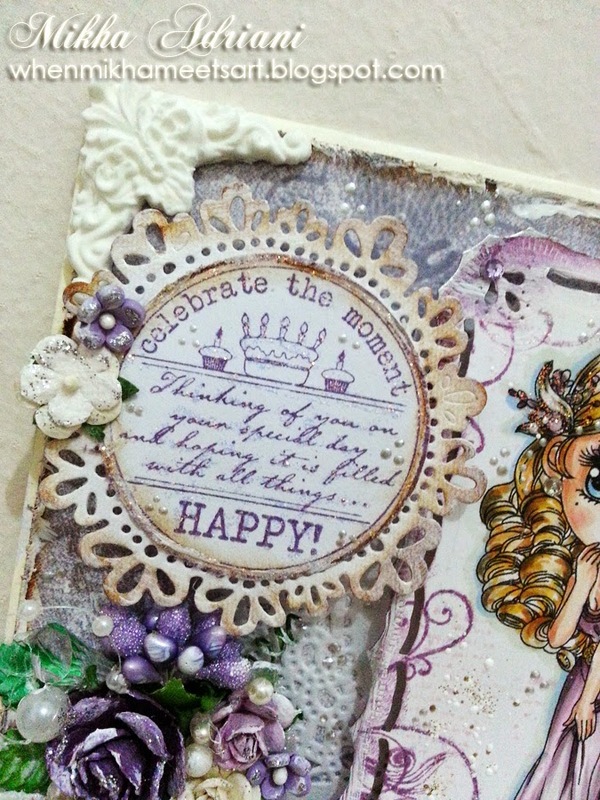 Awesome coloring as always & beautiful embellishments!